“this bear came out of nowhere and was gone before I could ask if it was alright or anything… Volume up!” he wrote. At first, it’s tough to tell what is happening. 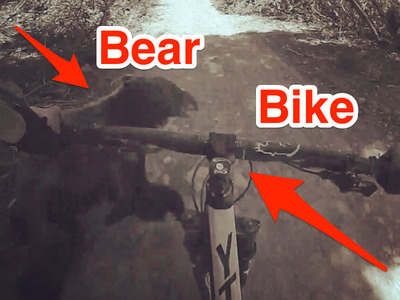 But a closer look at the slow motion footage confirms that the bear definitely did not have the right of way.